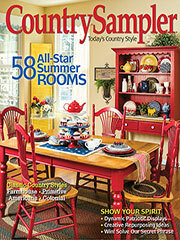 Experience Country Sampler like never before! 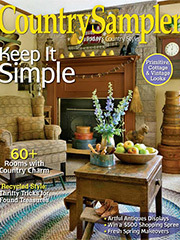 With our new interactive digital edition, you’ll receive all your favorite country homes and decorating ideas with a simple click of the mouse. Not only will you be able to link directly to advertisers’ websites, but you’ll also be able to watch how-to videos, download special projects, watch inspirational slide shows and more. 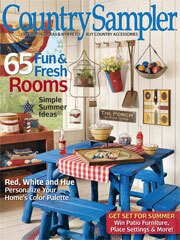 PLUS, you’ll be one of the first to see the new issue every time! what the fun is all about! 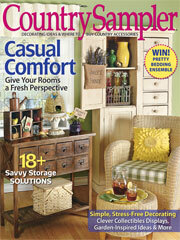 Instant access to the current digital issue right at your fingertips! The next five issues delivered to you immediately upon release! 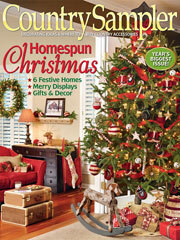 Two years of past issues (12 total), all archived and searchable. 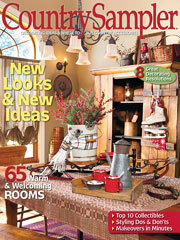 Beautiful images, interactive content and full articles that can be enlarged for easy reading! 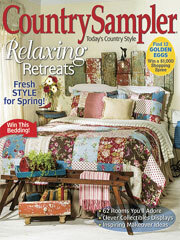 A digital subscription to Country Sampler magazine is $17.96 a year (that's 57% off the cover price! 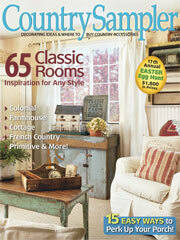 ), and you'll get the current issue plus two years of back issue access immediately. Plus you'll get the next five issues as they come out. 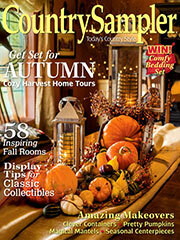 That's 3 years of country inspiration articles with your 1-year digital subscription! Don't miss out! 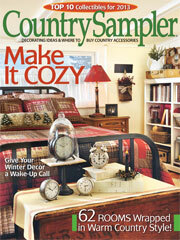 Get email alerts about your new magazine subscription, special offers and savings from Country Sampler and Annie's. Questions? Read our online privacy pledge. Wait! We can save you more money! 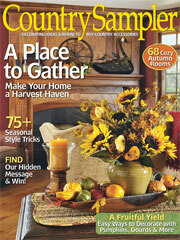 Before we process your order, we wanted to let you know how you can SAVE BIG on your subscription! Get a better value by adding another year! 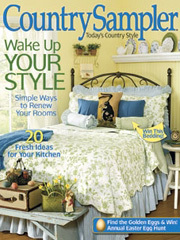 Better deal -- Save 52% off the cover price!